Alternative education lives – maybe next door! One of the best reasons to attend the AERO Conference is to meet the people who are pushing the boundaries of alternative education. Some are actively offering it, others defining it, others discovering and sharing it. Charles Tsai grew up in East Africa with a brother and not many other children to play with. I met Charles after the keynote by Dr. Peter Gray as I was helping Peter with a book signing. Charles mentioned that he had created a video of a student-directed school within a public school in Great Barrington, MA and I was struck with how close that was to me and that I had never heard of it. Charles’ video is well done and has messages to restore the faith of those who think the teens of the world are without innovative spirit, encourage those who feel alternative options could never co-exist in public systems, and wake up those who think that alternative education is not real or valid education. If students designed their own schools… from Charles Tsai on Vimeo. Upon further reflection, what struck me is the power and potential for this model, and how unknown it is just to the east of Great Barrington. Many thanks to Charles for his finding and documenting it. The challenge – for this and all similar efforts on the edge of mainstream – is to get the word out. Please share this post and this video if you are at all concerned for the future of learning and global intellectual awareness! To appreciate how people could be so willfully blind as to permit such a ubiquitous malevolent presence as slavery, one needs only to look at American public schools. The analogy between public schooling and slavery is presented solely to demonstrate that both are socially destructive institutions that are sustained by the belief that oppression, when it is even acknowledged, is necessary and beneficial. Cevin Soling takes an opportunity to guest post in a friend’s column in Forbes to pose a very provocative question: most knew that slavery was not right, and yet it took much too long to swing public opinion to create the legislation to outlaw it. Public schools are based on outdated methods and needs and are doing great harm to the cognitive skills of entire populations, why are we not abolishing them, too? The prevailing myth was that slavery not only enabled the cultural superiority of the South, but also the institution benefited slaves who were not morally or intellectually fit for the freedom they found in the North. … The danger of negating tangible, albeit specious, benefits in addition to suppressing the expressions of support for tyranny by the oppressed is that it prevents us from recognizing institutions of subjugation within our midst. Cevin Soling has spent a considerable amount of his most precious resources—time and thought—on this issue. Do not think for a moment that the ideas of this article are illogical or shallow. I have had the pleasure of working with Cevin for a year now and I know that this man’s mind is working in a constant metacognitive state (thinking about his thoughts) to ensure that he is not missing anything or basing his positions on fallible data. The insistence that alternatives to public schooling must be presented in any discussion that attacks public schooling is a diversionary tactic that need not be entertained. Abolition of slavery was not postponed until there was a clear vision for how to integrate millions of former slaves into society. Mass recognition of the fundamental evil of the institution demanded immediate action. That speaks to the premise of All New Public Education. We need to create a new system from square one, but we do not have to wait for that system to be designed, tested and delivered to every living soul to make the most important first step: dismantle the inept system that is currently an anchor around our collective necks. It is holding back our progress as human beings. The new President’s challenge: Take a Number! People are lining up with ideas for the new President. If you look at the change.org site you will see the overwhelming response to the new administration’s request for public input. Countless corporate executives, recognized experts in every field, and a huge percentage of the blogosphere’s brightest are weighing in on what the next priorities should be and what to do about them. Not to be outdone, Jim Goodnight, CEO of SAS Institute, spoke to Steve Hamm at Businessweek about how “If Obama’s in favor of improving education, let’s do it right. It’s got to involve a curriculum. We have the most complete set of curricula available, so let’s not reinvent the wheel.” Convenient, but that’s not my point. What we see in this and most recommendations is yet another bandage. I find myself unable to consider spending time and money on the system that has gotten us where we are. Others must, this is true. But I wonder why it is that there seems to be so few gathering to consider the way out of this mess, the only true way out: reboot from scratch. This is the time to be distilling down the fundamentals for a life-long learning program. Change will not happen overnight! 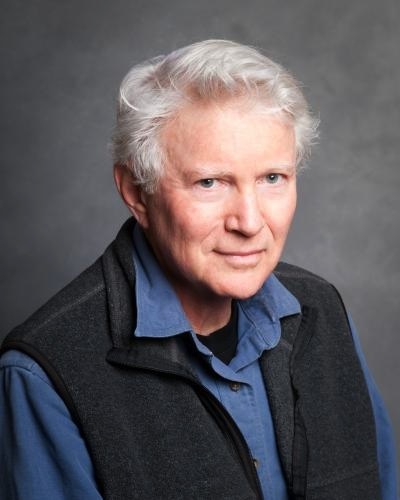 My wife, an early childhood educator, alerted me to the wonderful work of Richard Louv in his book “Last Child In The Woods, Saving Our Children From Nature-Deficit Disorder” and the organization he co-founded, Children & Nature Network. I made a comment on his blog congratulating him on his work and suggesting that, “The inexorable decline of the role of in-situ exposure as a key part of educating anyone, not just children, in the natural sciences–or physics, or accounting, or most any topic–is one of the many negative unintended consequences of the otherwise noble quest to provide basic education for every child that began as an incredible dream in the 18th Century.” Clearly we are staying inside, relying more and more on digital representations of nature in order to maximize “learning” while minimizing the expenditure of costly resources, such as teachers and time. I recommend you read more of Richard Louv.